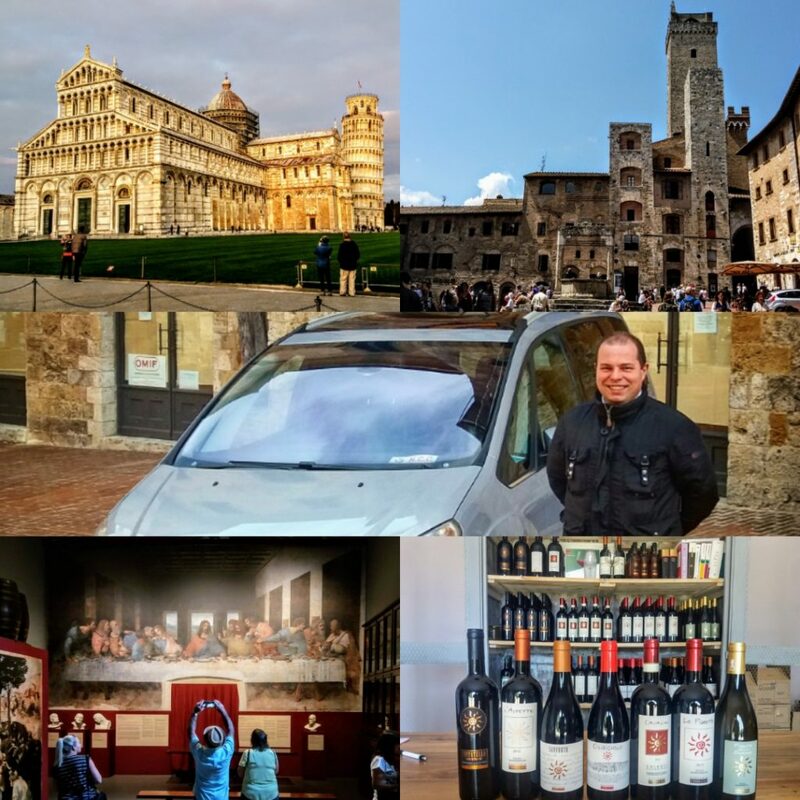 We are happy to announce a new itinerary available with Massi the Driver, licensed professional NCC driver in Tuscany, as day trip from Florence or Siena. The Grand Tour of Tuscany is a day trip that will allow to see the Leaning Tower of Pisa, San Gimignano, The Leonardo da Vinci Museum and his hometown. Also included is a stop for wine tasting and lunch at a family owned winery in the Pisa Hill Country. Enjoy the ride in our air conditioned van, seat back and relax. Come experience The Grand Tour of Tuscany!